Good day children! Are you enjoying your summers? Hope you are having fun playing your favorite sports while concentrating on your studies as well. 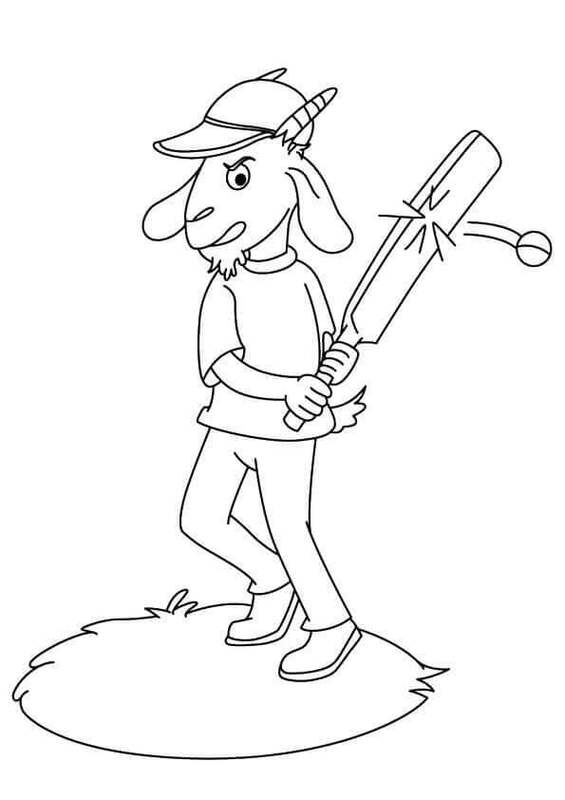 Talking of sports, today we have brought for you a collection of free printable cricket coloring pages. 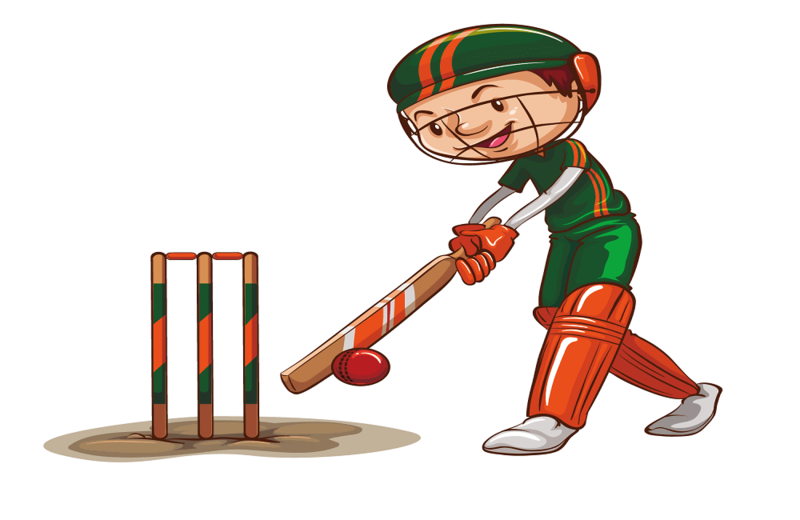 One of the most popular sports in the world, cricket is a bat-and-ball team sport played on a field. 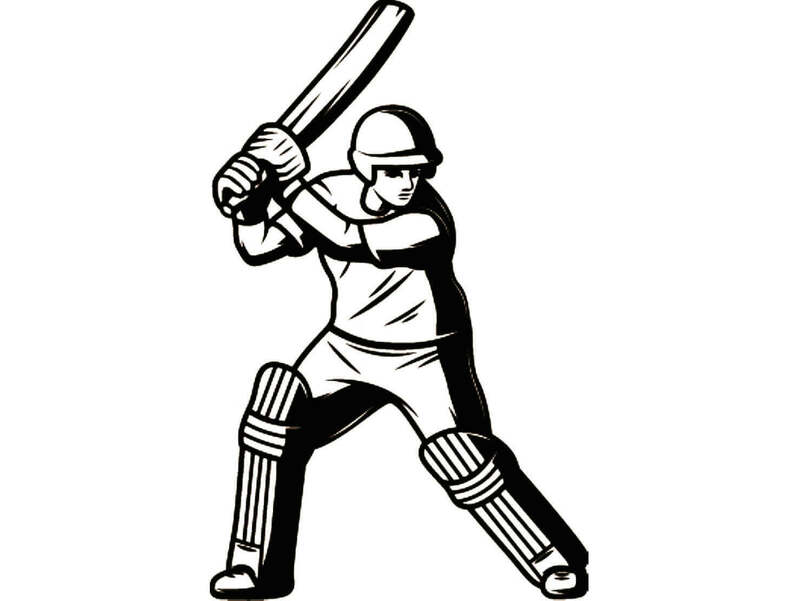 Each team consisting of 11 players who can be a batsman, bowler, and fielders. 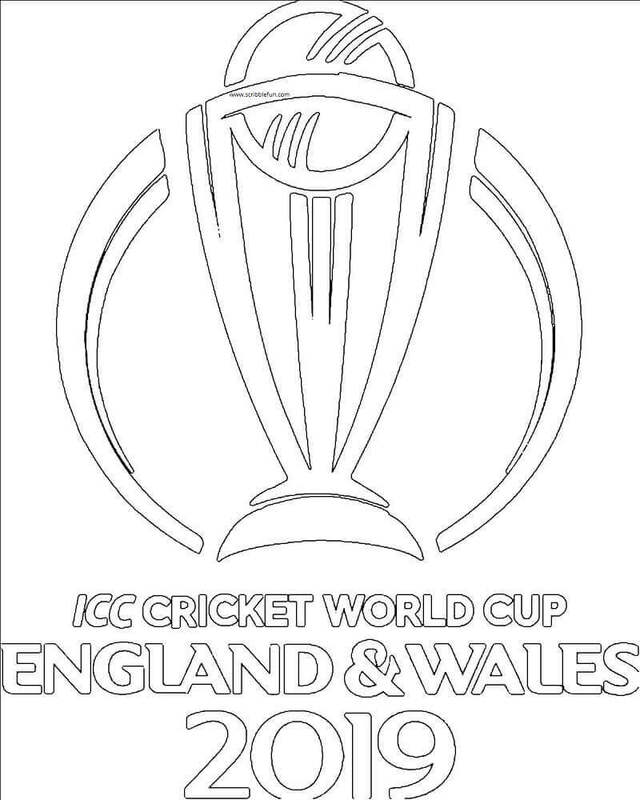 Governed by the International Cricket Council or ICC, several international cricket competitions are held including the ICC Cricket World Cup, the latest begins on May 30 in England and Wales. 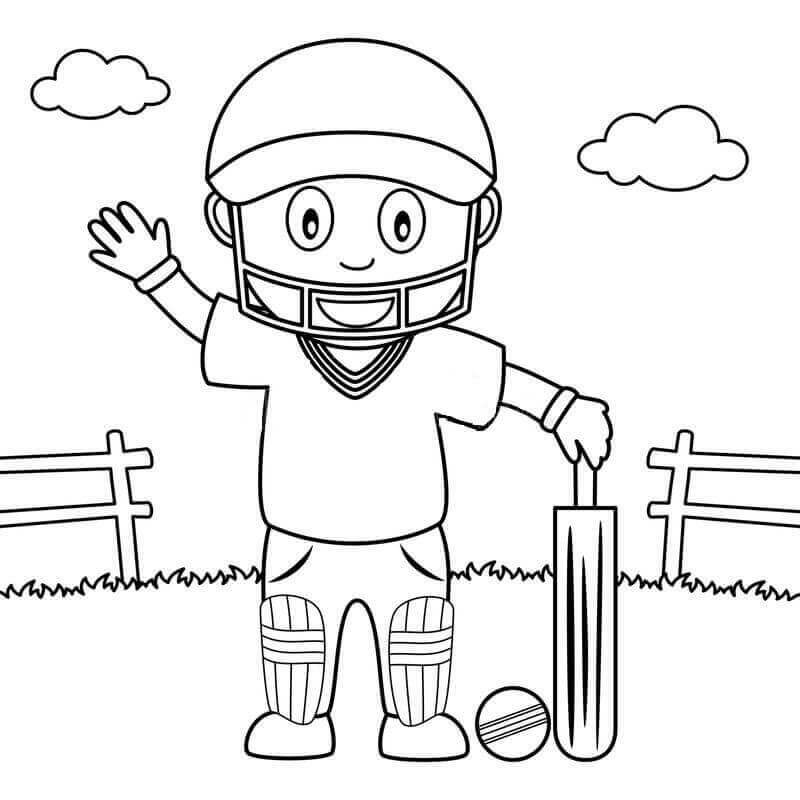 Let’s run right onto the field of cricket through this collection of cricket coloring sheets to print. When you are playing a sport that you love, you will end up smiling with excitement. This little fellow is so happy to get a chance to play cricket that he forgot to wear his helmet. Give this jovial batsman some welcoming colors. Leading team in the ICC rankings and the most consistent performers, Australia has produced some of the best cricketers in the world. This Australian cricketer looks focused as he waits for the bowler to throw the ball. If you are not too familiar with the sports, here is an illustration giving you an idea about the equipment. Cricket is played with a bat and a ball. Since the ball is hard, players were different gears for protection like a helmet and gloves. 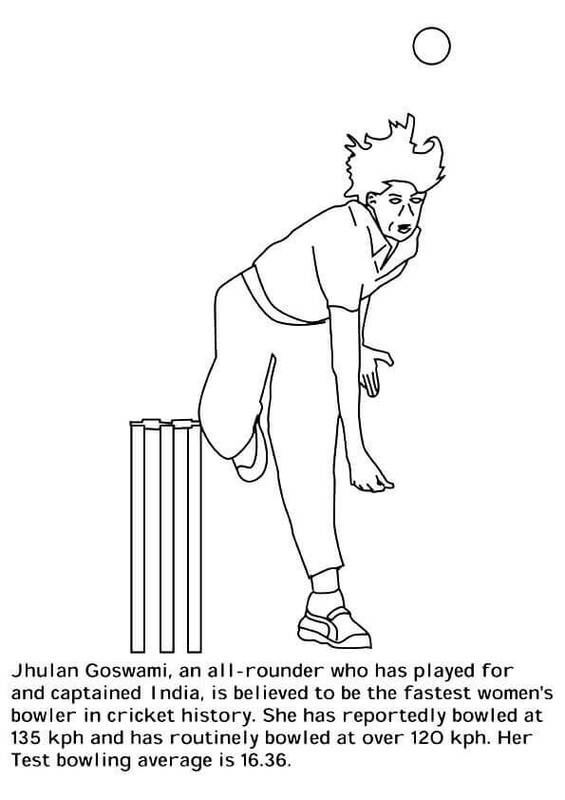 This illustration showcases a batsman after he has hit the ball. You can see the different gear he is wearing. Print this page and make sure to color all the details. Looks like the excited batsman who forgot to wear his helmet has come back with proper gear. Thanks to the helmet his face will be protected in case the ball hits him. 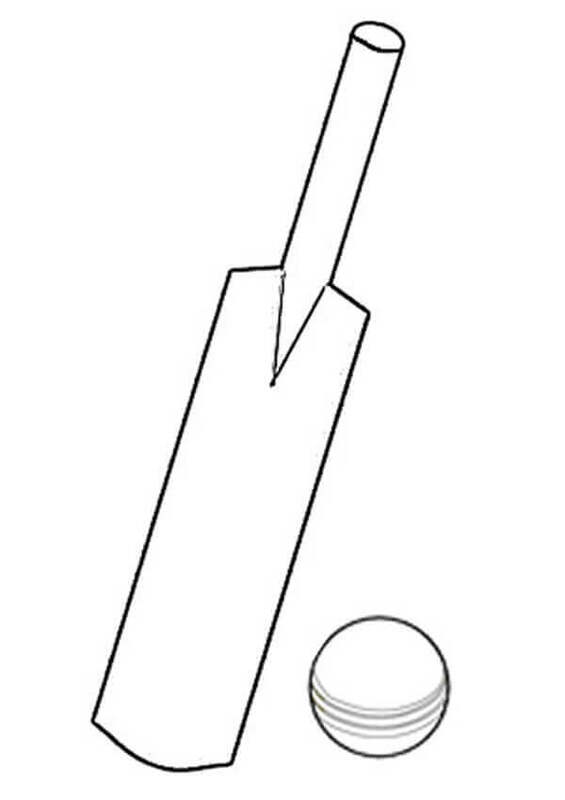 As the bowler runs before throwing the ball onto the pitch, the batsman waits in position to hit the ball. The highest run you can take is six runs, when the ball lands outside the boundary. Keeping an eye on the ball at the other end of the pitch, behind the batsman playing the ball, is the wicketkeeper. Look at the concentration of this wicketkeeper. One of the legendary cricketers, Australian Donald Bradman played for over twenty years in his career. He is regarded as the greatest batsman of all time. Currently, his record of having the highest career batting average, 99.94 in Tests format is still unbeaten. 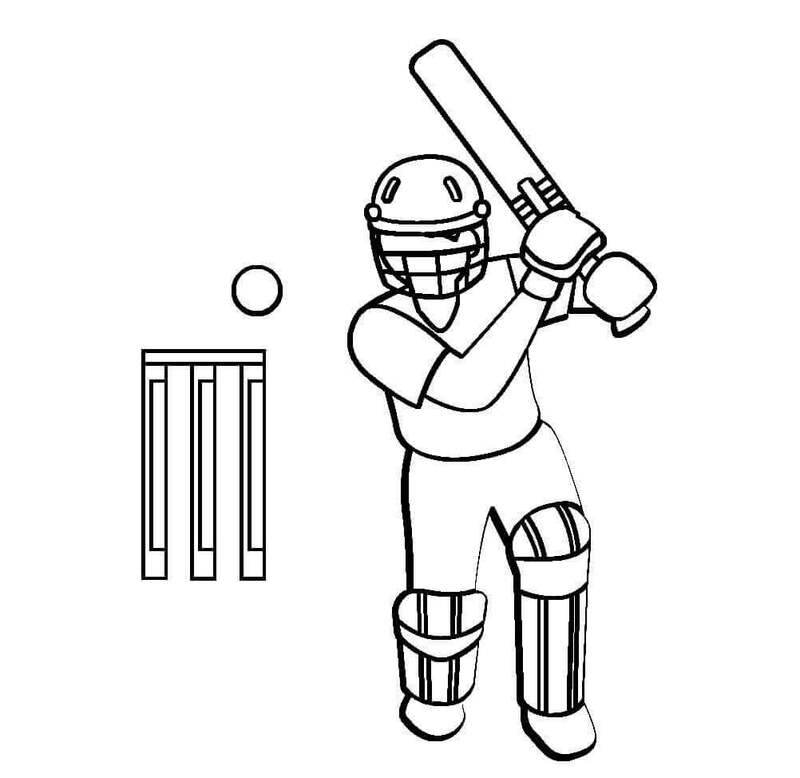 You can clearly see in this illustration, the position of the active batsman and the wicketkeeper. The wicketkeeper is eyeing the ball as he guards the wicket, while the batsman gets ready to swing his bat and hit the ball. 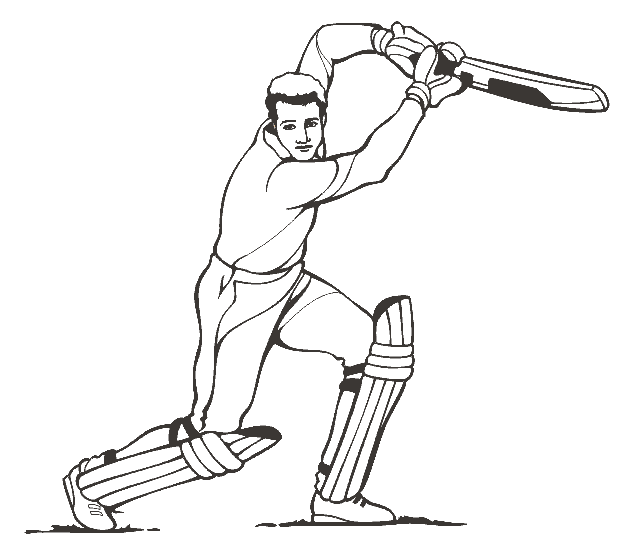 Employing different techniques, batsmen are able to hit the ball in different directions, away from the fielders trying to catch it. Playing in the big league for the first time, this enthusiastic batsman cannot stop smiling as he readies to hit the ball. So popular is the game of cricket that this eager elephant and the curious crocodile have decided to try playing it. Wish them luck with your brilliant colors. Motivated by the elephant and the crocodile, this goat has also joined the local cricket club. And it has managed to hit the first ball! 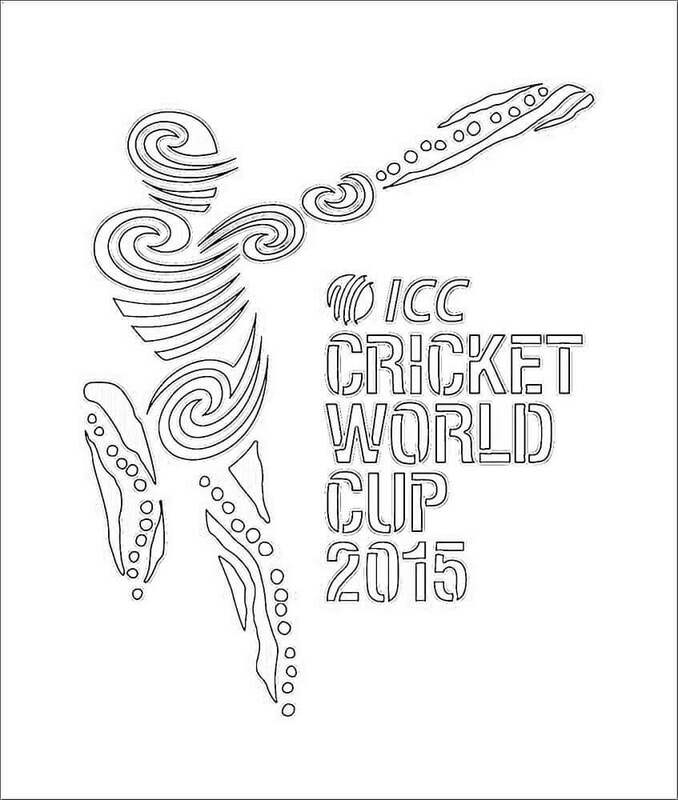 Here’s the logo of the ICC Cricket World Cup 2015, which was co-hosted by Australia and New Zealand. Interestingly, both the countries ended up being in the finals as well. Playing in front of a record crowd of over 90,000 spectators, Australia went on to win, beating New Zealand by 7 wickets. If you are a cricket fan, then you must already know that the ICC Cricket World Cup 2019 will be held from 30 May till 14 July. England and Wales will be hosting the event for the fifth time this year. Print this page and color this logo in grey and red while you think about who will take home the cup this year. With over 200 wickets, former Indian Captain and all-rounder, Jhulan Goswami is the highest wicket-taker in Women’s One Day International cricket. Recipient of ICC Women’s Player of the Year 2007, Goswami is also arguably the fastest women’s bowler in cricket history. Bowling routinely at over 120 kph and reportedly reaching 135 kph. The logo of the New Zealand national cricket team is a silver fern on a black background. Nicknamed Black Caps and Kiwis, they were the runners-up in the last ICC Cricket World Cup 2015, which incidentally was also their best performance so far. This batsman has missed the ball and looks like it is going to hit the wicket. If it hits, he will be out, and he cannot play anymore. Joining the cricket bandwagon, thanks to the hype around the ICC World Cup 2019, is this superhero. Who knows, he might start a Superhero World Cup! 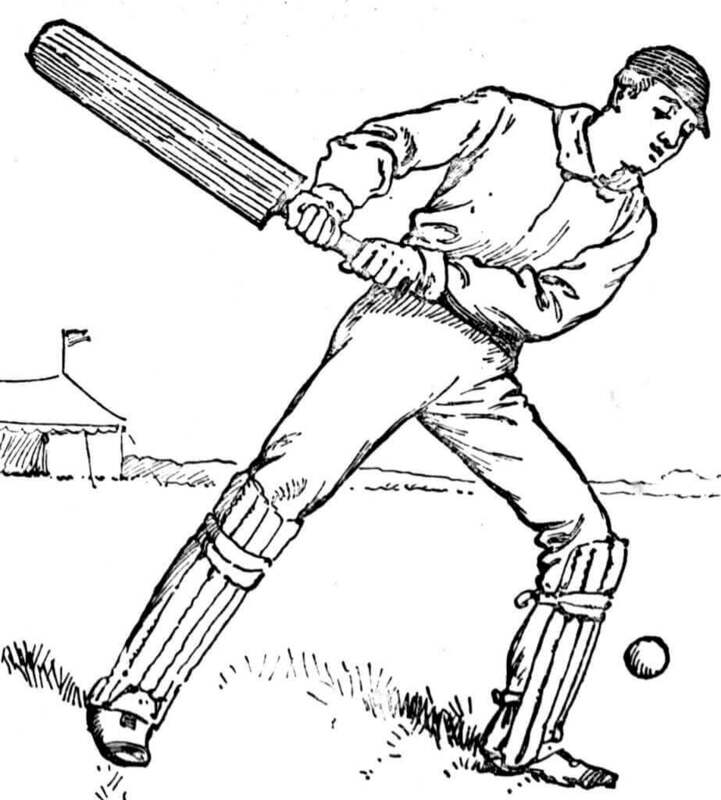 Paying tribute to the olden times of cricket being played is this vintage illustration of a player trying to hit the ball. 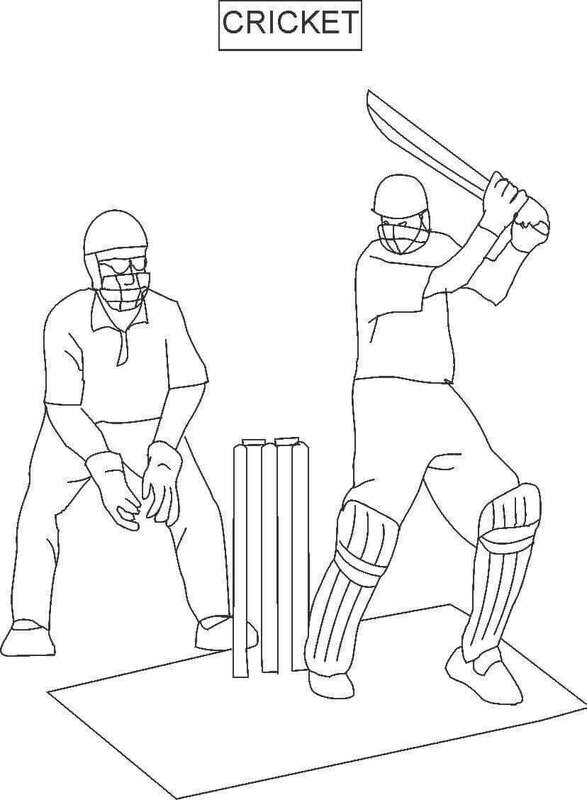 Last, but not the least, here’s a wonderful realistic cricket sport coloring page, featuring a batsman who just got clean bowled due to an amazing spell by the bowler. 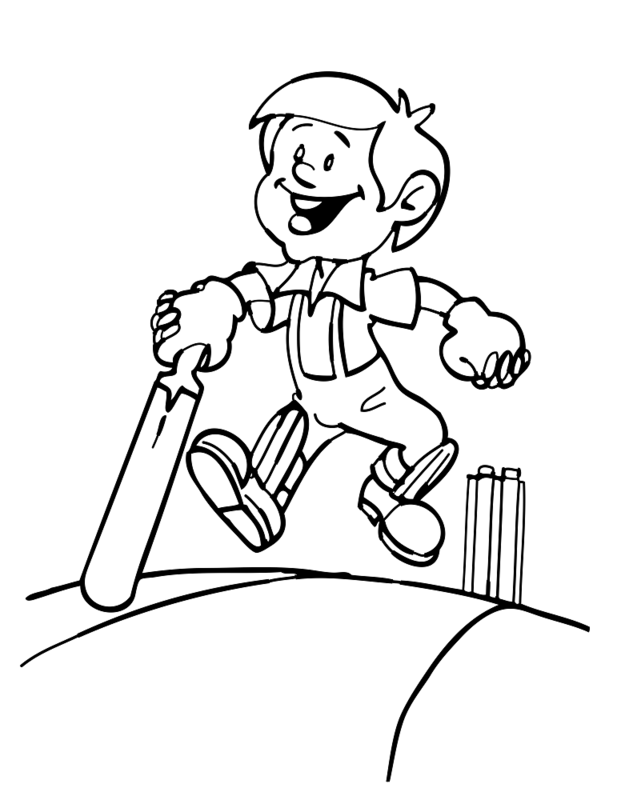 On that vintage note, we have reached the end of today’s sporty collection of cricket coloring pages printable. 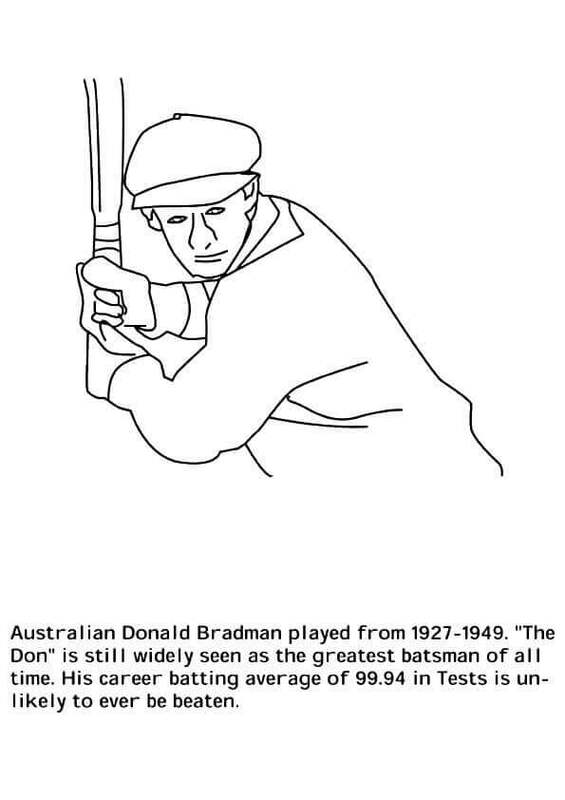 If you love sports, hope you greatly enjoyed coloring these pages. In case you are new to cricket, hope you were able to learn and love sports like millions in the world. You can catch the excitement of the game by watching the ICC Cricket World Cup starting May 30, 2019.